Hi everyone!!!! Today’s post is another financial book review. I hope you read the last book that i reviewed. 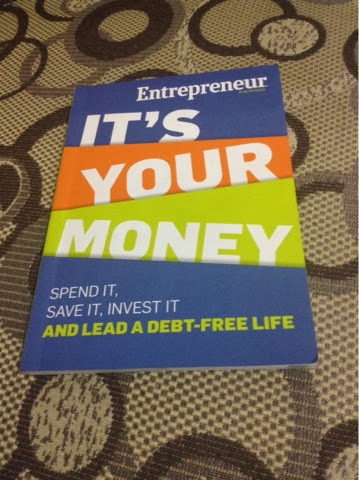 Before 2013 ends i purchased the book It’s Your Money (Spend it, Save it, Invest it and Lead a Debt-free Life. I know, i know that the title is a bit long but i am telling you that you will finish this book in one-seating. It’s written in full English but the way that it is narrated is clear, simple and easy to understand. It speaks in the secon-person point of view so there’s a lot of “YOU” which helps being engage to the book. You will definitely feel that book is talking to you. book that i reviewed, It’s Your Money is more on defining terms, explaining financial facts and giving expert insights. There are a financial professional who gives quotes about a certain topic. 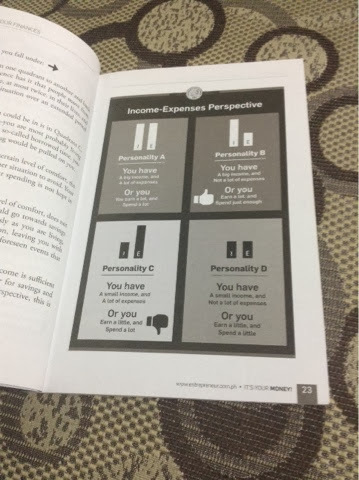 One of my favorite part is the table presented above wherein you will know what personality you have in terms of managing your finances. 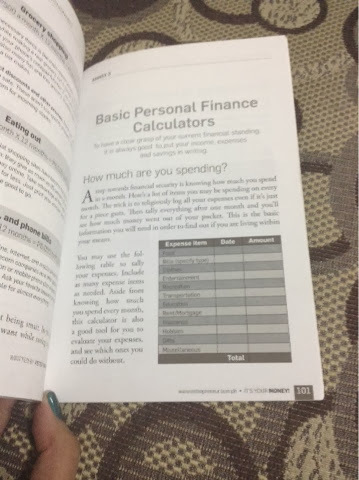 There is also the Basic Personal Finance Calculators in the end chapter that will help you get started in budgeting your money. 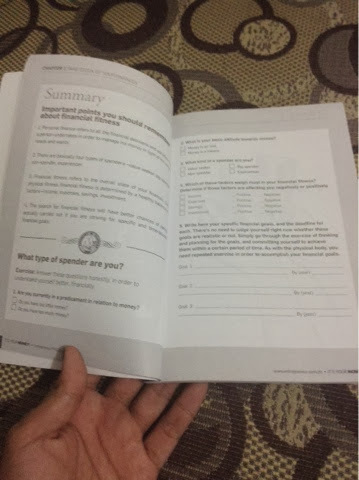 Every chapter has a Summary page which also has a short quiz that will let determine what you understood in the topic. I love this book so much for i learned a lot of things. It’s a book filled with financial knowledge. 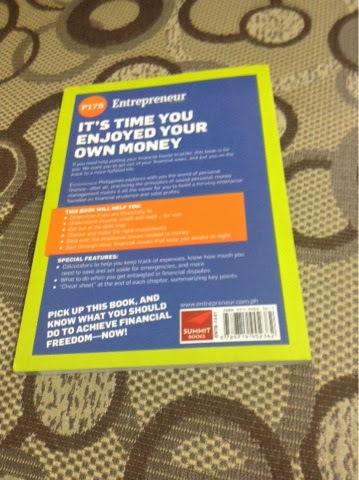 Every chapter has something to say and they inserted bonus pages with great tips too. You won’t actually feel bored reading though there are no humor stories included in the book. So that’s that for my review. I hope you will grab one. It’s available in all National Bookstore nationwide. I bought mine in Robinson’s Galleria National Bookstore.